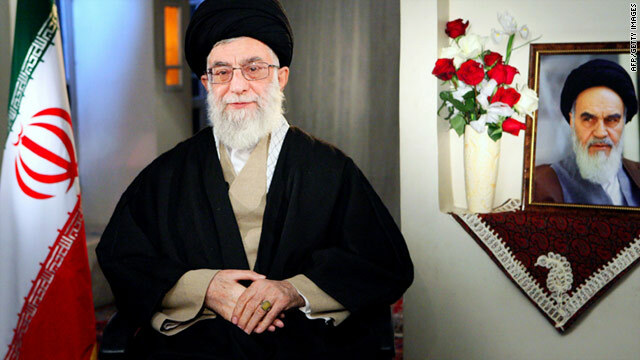 Ayatollah Ali Khamenei, pictured, has overruled a decision made by President Mahmoud Ahmadinejad. (CNN) -- A rumored rift between Iran's two most powerful leaders surfaced Sunday when Ayatollah Ali Khamenei overruled President Mahmoud Ahmadinejad's acceptance of the resignation of the country's intelligence minister. The Fars semiofficial state news agency reported that Ahmadinejad had accepted the resignation of Heydar Moslehi as the intelligence minister, who oversees the crackdown on anti-government protests in Iran. A later Fars report said Moslehi was reinstated by Khamenei "because the supreme leader opposed his removal from his post." "Following the reports in news websites belonging to the government that said Moslehi's resignation had been accepted by the president, he will remain in his post because the supreme leader, Ayatollah Khamenei, opposed the resignation," according to Fars. Under Iranian political tradition, the supreme leader appoints or approves the appointments of the ministers of intelligence, interior, defense and foreign affairs. The first indications of a rift between Khamenei and Ahmadinejad came in 2009, when Khamenei forced the president to remove his first vice president, who also is the father of Ahmadinejad's daughter-in-law. CNN's Shirzad Bozorgmehr contributed to this story.